There were many pictures alleging white supremacist marchers openly carried guns, which is legal in Virginia. 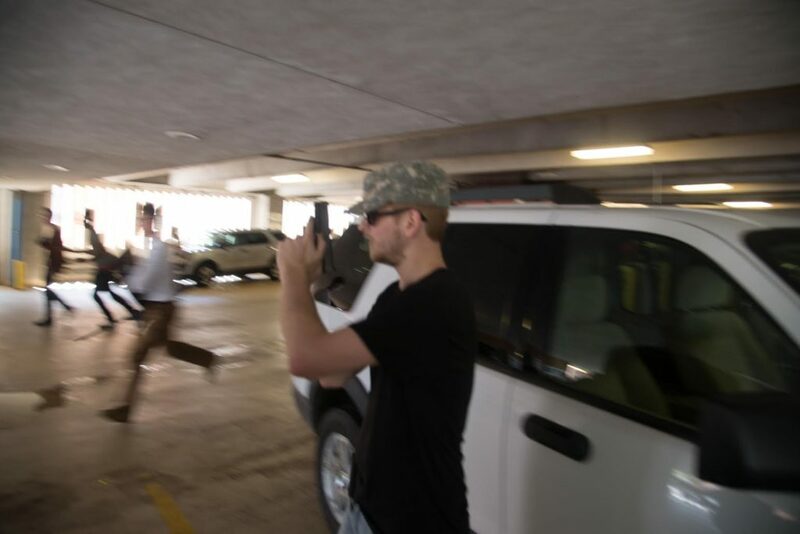 At this point, it is unclear if any of these guns were fired during the riot, but photographer Zach Roberts did photograph what appears at first glance to be an alt-right militant using a pistol to provide cover to white supremacists who savagely beat Deandre Harris, a black special education teacher, with metal poles. If anyone, white supremacist or otherwise, abuses their right to bear arms by using legal guns to commit crimes, they should face stiff penalties. If this gunman, who appears to have used his gun to aid in the assault and battery of Deandre Harris, can be identified, he should be prosecuted to the fullest extent of the law, including the loss of his Second Amendment rights if he is convicted of a felony. Previous articleHow Long Before Antifa and BLM Insist That Virginia Change Its Name?